Roughly 3 weeks between eggs being laid and eggs hatching. Hatching occurred at 9 am. When I turned off the flow to better witness the hatching, the female octopus quickly left her bottle den, agitated the eggs presumably to help the hatch, and is now sadly protecting the space where the eggs were. 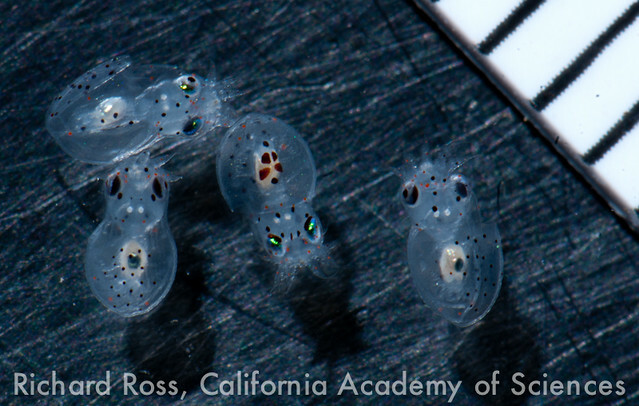 The female many hatchlings will be on display at the Steinhart Aquarium in the California Academy of Sciences until they can no longer be displayed. 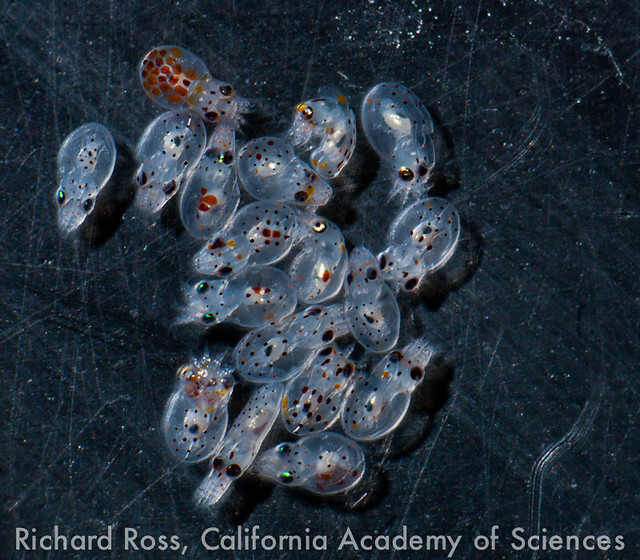 The hatchlings are 1-2 mm in length. There are 1000’s of them. 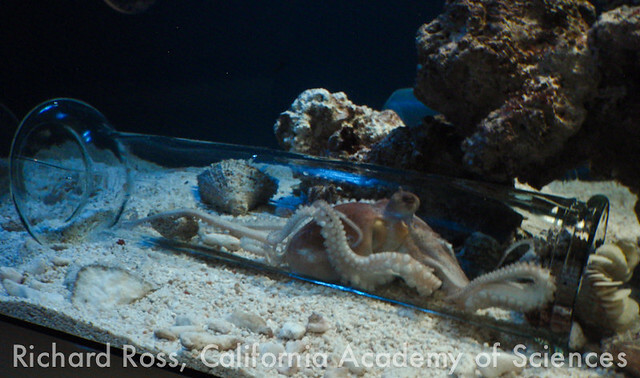 The hatchings are in a Kreisel tank and being offered 24 hour Artemia, which the literature suggests is the correct size to be eaten by the little octos, along with rotifers which are smaller to cover all the bases we can reasonably cover. The lines in the upper corner are millimeters. The female in her bottle. Note she has plugged the opening with rubble. After I disturbed her den and eggs, she moved into the bottle and laid 4 or 5 additional strands of eggs in the bottle.